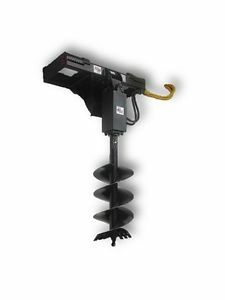 This easy-to-use hydraulic post hole auger attachment for the stand-on mini skid-steer will dig numerous holes quickly and effortlessly. 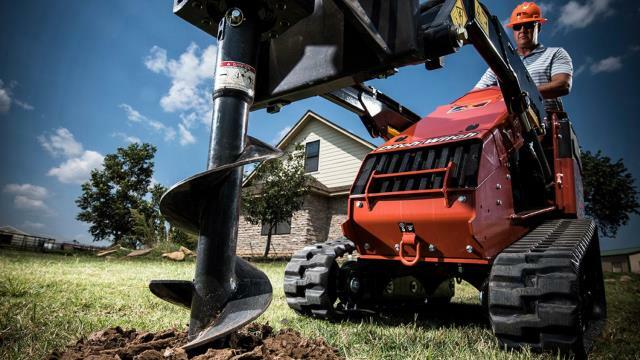 This product is a great option for homeowners and contractors with small to large jobs that have standard to difficult soil conditions. 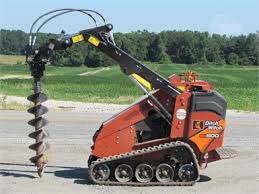 This skid loader with auger is a great product for projects in a tight or hard-to-reach place that larger machines cannot access. 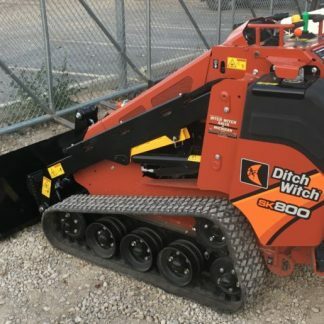 It has the ability to fit through a 36′ fence opening, allowing maximum versatility for a wide range of jobs. 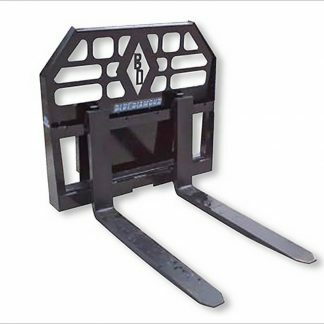 The mini skid’s easy-rolling tracks makes it more suitable for soft sandy soil, greasy clay, backfill, and other common soft ground applications. For larger jobs or situations where you would prefer to be seated, consider our Bobcat S570 (Wheeled unit) w/Post Hole Auger or Bobcat T590 (Tracked unit) w/Post Hole Auger.